AFTER months of planning, the Resound Foodbank has opened its doors, offering essential supplies to people in need. The foodbank at the Resound Church in Mangotsfield means that those seeking help in the Downend and Emersons Green area need no longer travel to Yate or Bristol. It is open every Friday morning and clients are given enough food for three days of nutritionally balanced meals in exchange for vouchers, which are being issued by a number of organisations in the area (see list). More voucher partners, as they are known, such as doctors, schools, and other professional organisations, are still being sought. A number of local churches are supporting the venture, and Sainsbury’s at Emersons Green is also backing it. 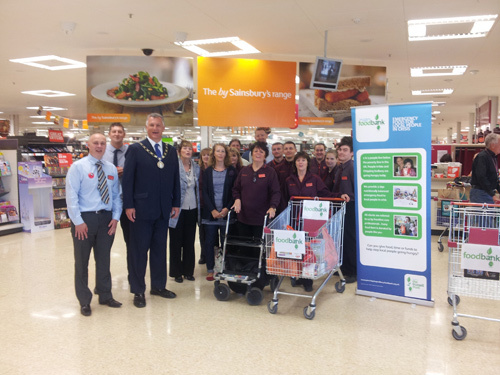 The store has already held collections for the foodbank and the chairman of South Gloucestershire Council Ian Boulton visited last month in recognition of the effort, as well as for Sainsbury’s support for its chosen charity, 1st Emersons Green Scout Group. Donations of food and other household goods can be taken to Resound or to any participating church. 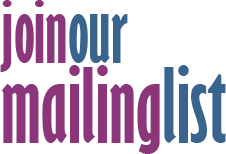 Regular updates on the foodbank shopping list will be published in Downend Voice. It is important that contributed food is undamaged and has a long use-by date. The Resound foodbank, like the one in Yate that opened two years ago, is supported by the Trussell Trust. Bob Vernon, from the Yate foodbank, told guests at the launch of the Resound foodbank that demand was continuing to grow and had been particularly heavy during the school summer holidays. “We started off feeding about 10 to 15 people a week. Now it can be up to 60 or 70. 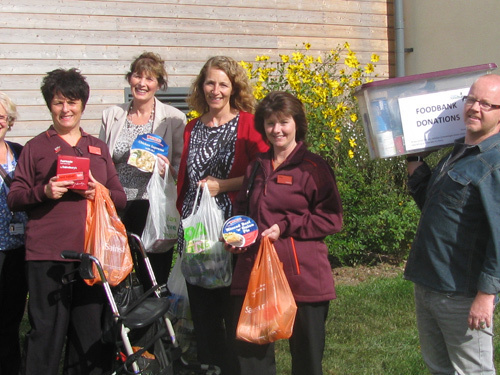 We have had clients who have walked from Mangotsfield to Yate to get a food parcel. There are so many people who are struggling for all sorts of reasons,” he said. Foodbanks aim to help people in short-term crisis and usually there is a limit of three vouchers in six months. Visitors to the foodbank are offered a hot drink and snack and are encouraged to talk to the volunteers, who will try to help them find a longer-term solution to their problems. Claire Collins, organiser of the Resound foodbank, said: “We are very grateful to everyone who is helping us – those who give food, our volunteers and our voucher partners. We could not do it without them.